Its Valentine’s Day! And this is the best opportunity for Varun Dhawan and Alia Bhatt to promote their upcoming movie ‘Badrinath Ki Dulhaniya’. The actors promoted their movie at a special Valentine’s Day shoot. The entire space was set up with red heart shaped balloons, a special table for just the two. Varun and Alia showed off some great chemistry and were all smiles for the shutterbugs. 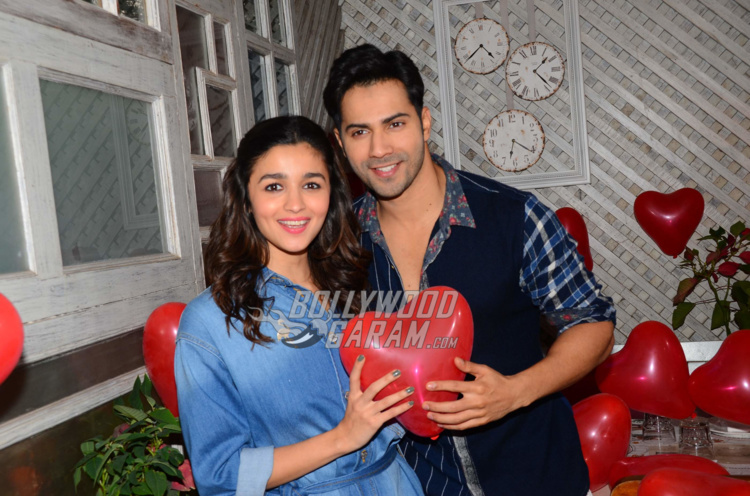 Alia looked pretty in a denim outfit while Varun was seen in a casual shirt and white pants. 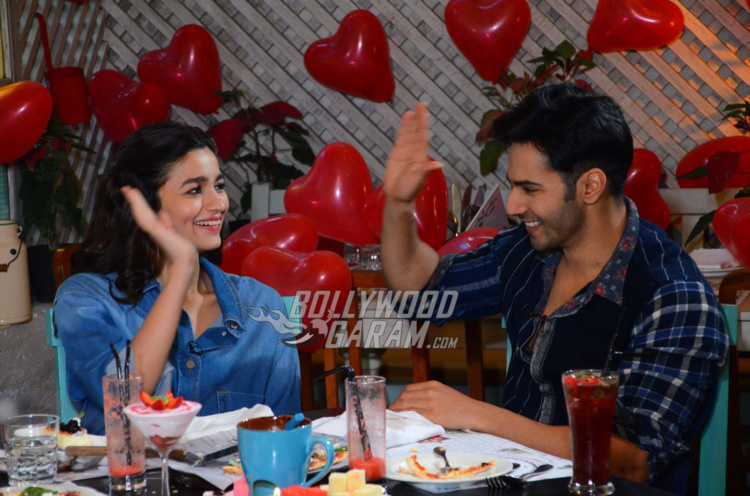 Alia and Varun gave some lovey-dovey poses for the cameras. The makers of the movie have begun the promotions of the movie quite in advance as the movie is set to hit the theatres on March 10, 2017. Alia and Varun are all over the city for promotions. The two recently launched the trailer of the movie after which they launched the much awaited song ‘Tamma Tamma Loge Again’ which is a reprised version of the 90s song ‘Tamma Tamma’ featuring Madhuri Dixit and Sanjay Dutt. The new version of the classic song has been reprised by rapper Badshah and features Alia and Varun dancing to the tunes. ‘Badrinath Ki Dulhaniya’ is the sequel to the 2014 movie ‘Humpty Sharma Ki Dulhaniya’ and is directed by Shashank Khaitan and co-produced by Hiroo Johar, Karan Johar and Apoorva Mehta under the banner of Dharma Productions. The movie also features Gauhar Khan, Mohit Marwah, Aakanksha Singh, Namit Shah and Anmol Jain. ‘Badrinath Ki Dulhaniya’ is all set to hit the theatres in March. Previous articleTaimur Ali Khan Pataudi is a Sensation Again, This time With a Solo Portrait!